If you don't know anything about Tidelift, the short story: we're creating a collaborative business to fund open source maintenance. Customers buy a subscription covering all of their application dependencies; and we pay a portion of subscription fees to interested maintainers when they sign on to help us. This week we're announcing a milestone, $1 million dollars available to maintainers on the platform. There's new documentation and UX on the site to guide maintainers through this, so if you're a learn-by-doing kind of person, go click around. For the learn-by-reading crowd, or those who want some behind-the-scenes, read on. We would love to talk about any of this if you have questions or feedback. We're hoping many maintainers will go directly to our maintainers page, where we try to answer the major questions as concisely as we can. We did a lot of testing and bouncing prototypes off of people, and universally maintainers wanted as many details as possible—but they also needed to quickly grasp our approach at a high level. So the maintainers page keeps it short, while linking to the long version for those who want to go deeper. Here are some of the key deeper-dive documents. Lifter agreement. Luis, our OSS-savvy co-founder and general counsel, kindly created a contract in easy-to-read FAQ style. When you choose a package, what happens next depends on whether the package is eligible to be paid yet. If the package is eligible, you can immediately apply to lift that package. At this point you'll have to pause and wait for human intervention. But we have nice humans! And they would love to meet you. If the package is not yet eligible, you can apply anyway, but you won't be on the hook to actually do any work yet. Instead, we'll notify you when it is eligible… and you can help make that happen, because eligibility hinges on whether enough subscribers are using the package. We'll get you set up with a payments account and a project-specific landing page, and pay you a referral bonus for every subscriber who comes to us through your landing page. When a package reaches enough subscribers, it becomes eligible for a monthly share of subscription revenue (and this share will then increase with each new subscriber). Whenever the money looks worthwhile to you, you can switch to active lifter status and get paid. The number of subscribers a package needs to become eligible varies by package size; the details on that are here. By the way, if you have any questions before or after you apply, send those in our direction. Click into an approved-for-lifting package to see the tasks associated with it. We split tasks into groups, some are one-time setup while others will recur as you make releases or react to events in the world. In addition to this view on the website, we'll send email every week if tasks are pending. By the way, unlike a social media site, we'd consider it a success if you spend less time on these tasks; we aim to make them as efficient as possible. We know we aren't there yet so we're looking at directions such as an API callable from your release script, and an aggregate task view to support some of our "super lifters" with dozens of packages. Many aspects of "good maintenance" are impossible to track in an automated way. 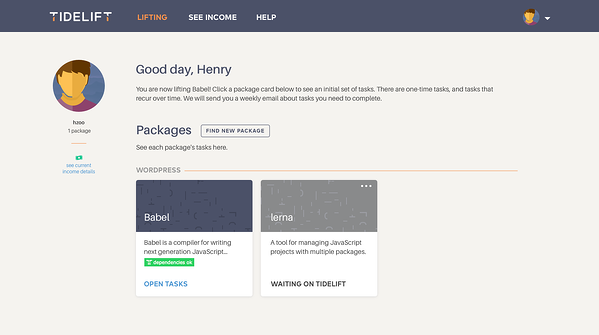 We're hoping the lifter dashboard will evolve into an ever-more-useful project and package "linter" reminding all of us when we forget something. But good maintenance doesn't end with satisfying a linter. We're hoping to help you continue as an active maintainer with the time to make your project fantastic. Our hope is that better packages will attract more subscribers and earn more money. You're all creators who understand what it means to evolve a product from a small, unsteady baby giraffe into a strong adult. We hope you'll help us get there and pay the maintainers. We've set up an instance of Discourse at forum.tidelift.com, open to any maintainer who's applied to lift or applied to market a package. 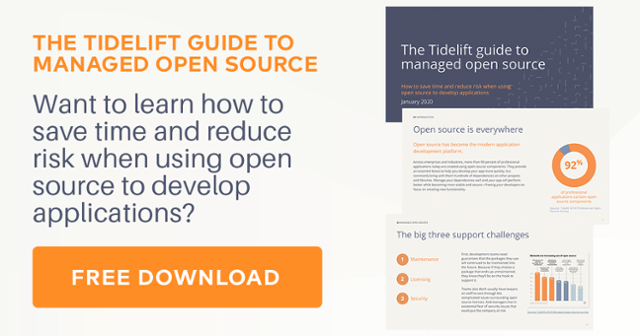 This will be a community of open source maintainers interested in Tidelift, spanning every major OSS ecosystem. 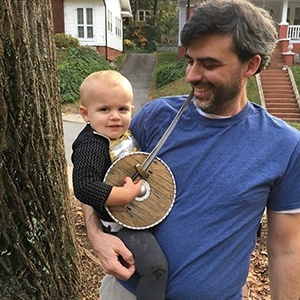 We'll share what we're working on, ask you for input, and you're all welcome to talk about whatever seems interesting to discuss with the group. We also regularly run user tests, and we're very grateful to everyone who has participated so far. We're always looking for more maintainers to look at prototypes and drafts to help us get them right. 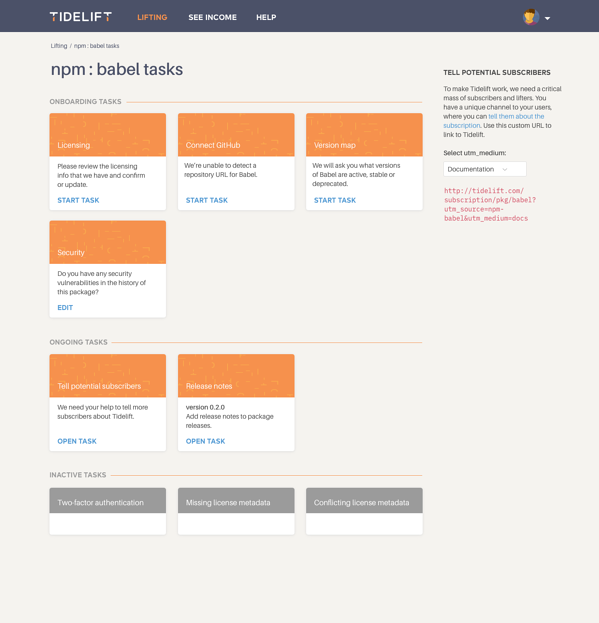 Don't forget that we're powering Tidelift with an open source project, libraries.io. Our index of packages, repositories, and associated metadata comes from there. Our goal is a win-win scenario: where OSS maintainers get paid fairly and businesses building on open source get additional certainty and support. To make this as big as we think it should be, there's a lot to do! We hope you will see the potential and join the list of maintainers who are already participating.